All aboard! 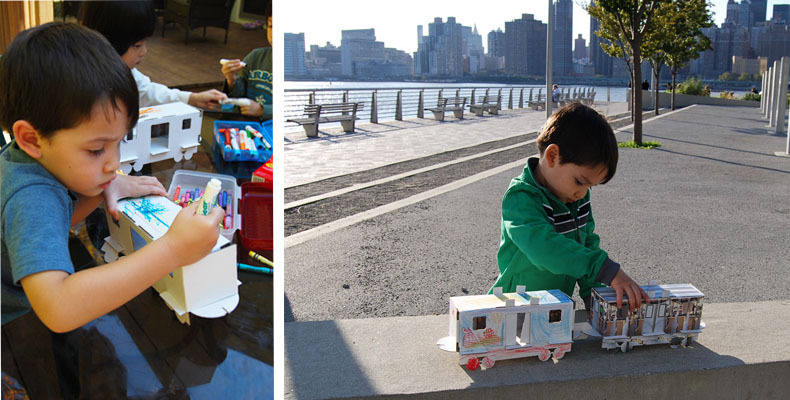 Little train conductors use their big imaginations to build the Urban Canvas Metropolis Train Set. 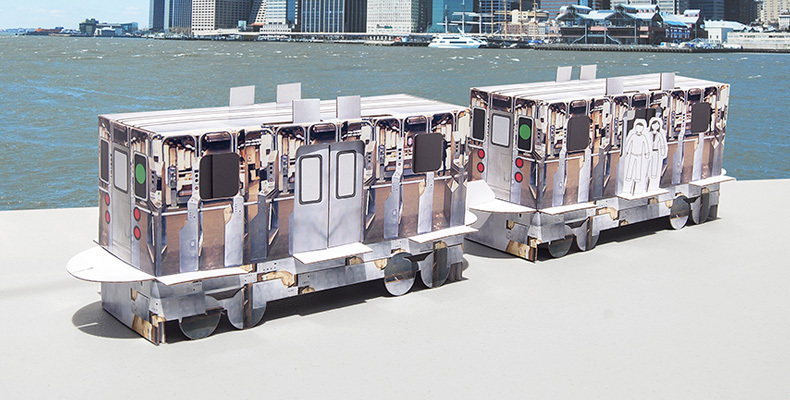 Each cardboard toy train car displays an image of a modern city train station, and has sliding doors that kids can open and close to let passengers on and off. 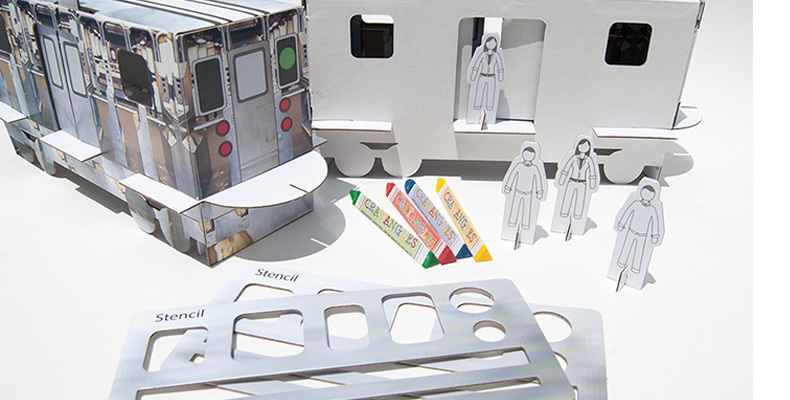 Fold the train car inside out and it becomes a brand new train that has a blank canvas for children to decorate. 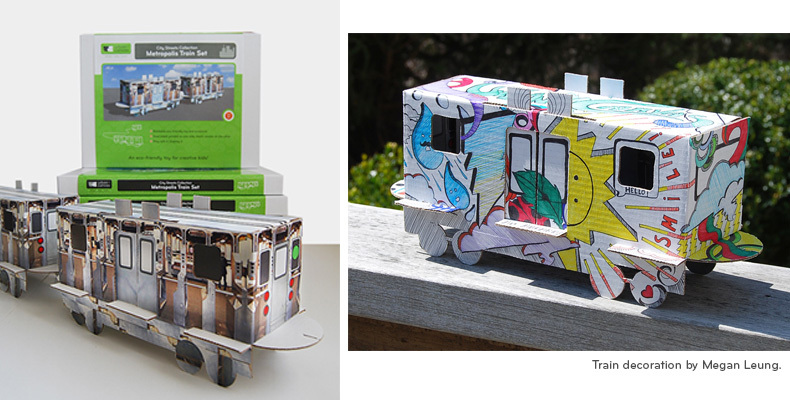 Each Urban Canvas Metropolis Train Set has two linkable train cars, four passengers, and stencils making it a great art activity for kids to do in pairs. Multiple sets can be used to build a whole train line. 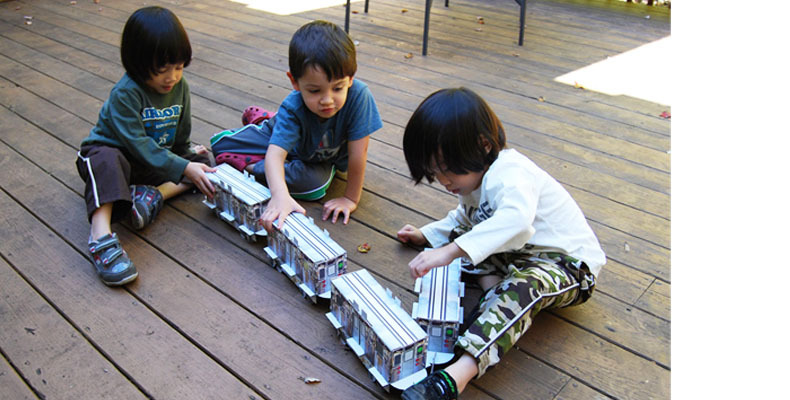 The Urban Canvas Metropolis Train Set is a great idea for children’s birthday parties, and is a wonderful learning toy for parents and educators to teach children the essentials of teamwork. For ages 4 and up. • No glue required for assembly. • Two reversible train cars.